Aria Hotels (www.ariahotels.gr), the renowned collection of boutique hotels and holiday residences around Greece, has announced its expansion into Spain, joining forces with local entrepreneur Ignacio Moreno de los Ríos, who will be the CEO of Aria Hotels Spain. Since 2012, Aria has been building a diverse portfolio of 25 boutique hotels and villas throughout Greece and the Greek islands based on providing a wholly authentic hospitality experience. The properties are often of historic importance in lesser-known island and mainland destinations and include unique locations such as a winery, a converted windmill, and a house with its own olive press. From its new offices in Madrid, Aria will now be applying its established philosophy to properties across Spain and plans to announce its first opening in the months ahead. Commenting on the announcement Makis Pantazatos, Chief Executive Officer of Aria Hotels, stated, "Today's discerning travellers want to experience the most authentic taste of their destination. This means unspoilt hotels or villas in equally unspoilt locations with a distinctive style and atmosphere. This is the formula we have created very successfully in Greece - from wine tourism in Crete, to aristocratic living in Santorini, to a writers' escape in the Peloponnese - or an escape to the mountain wonderland of Epirus. Every holiday destination at Aria is beautifully different and beautifully individual. Spain is also extremely popular with tourists from around the world and we aim to apply this niche market philosophy in the Iberian Peninsula with its vast coastlines, plains, islands and landscapes. "Greece and Spain share the attributes of mature tourism markets," added Ignacio Moreno de los Ríos. "Aria´s success in Greece confirms that there is still scope in developed markets for well-conceived, original concepts. Travel based on immersion with the local environment and culture is a welcome alternative to mass-market holidays. Aria Hotels Spain intends to stand out in this sector providing a collection of small properties offering unquestionable comfort in locations that enrich the traveller's life." The World Travel & Tourism Council's 'Travel & Tourism Economic Impact 2018 - Spain' report forecasts travel and tourism in Spain to rise consistently over the next ten years, attracting annual capital investment of €26.5bn by 2028, by which time Spain is expected to host over 120 million tourists each year. Aria Hotels is a family-owned boutique hotel and villas company that offers holidaymakers authentic Greek hospitality and the ultimate in simple, effortless charm. The company has several hotels and villas, all in exceptional destinations: Crete (Chania, Heraklion and Lassithi), Cyclades (Kimolos, Serifos, Milos, Santorini), Epirus (Metsovo & Zagori) and Athens. 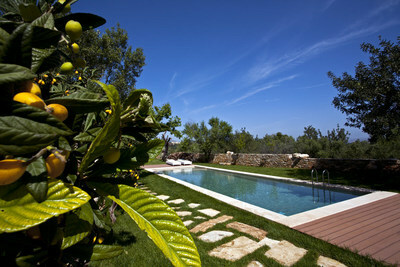 They are chosen to appeal to the discerning traveller looking for a secret hideaway in Greece.